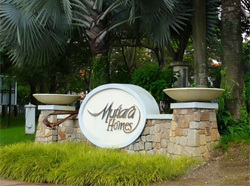 “Mutiara Homes” is the brand name for Mutiara Rini Sdn Bhd’s residential units in its development townships, namely at Mutiara Damansara and Mutiara Rini, Skudai. “Mutiara Homes” are designed from a holistic approach in modern living, lifestyle, sense of community and modern surrounding aesthetics. “Mutiara Homes” are architecturally designed to reflect modernism and practical floor layout for today’s family living. Set within a well-planned community of low density development, it boasts of many modern facilities and amenities. Mutiara Rini Sdn. Bhd. as a developer has taken on a mission to bring nature’s beautiful Fiona & flora landscapes closer to all our residents in our township developments. The decisions to create “Mutiara Park” within our development is to provide the residents with more recreational opportunities and more open space amenities, while encouraging more active and passive recreation. These parks will eventually enhance the natural beauty of the township. In Mutiara Damansara, two recreation parks measuring 10 acres and 6 acres, feature lakes, jogging tracks, water fountains, concert stage, gazebos, playgrounds and extensive landscaped grounds. Cleverly blended together, these parks create a focal point for the residents to relax, play and enjoy with family members and friends. In our other project in Mutiara Rini, Skudai, Johor Bahru we have signed a Momerandum of Understanding in June, 1996 with Majlis Daerah Johor Bahru Tengah and Forecast Research Institute of Malaysia to develop a 64-acre Urban Forest in Mutiara Rini, Skudai. 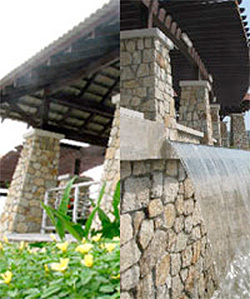 The overall developments in Mutiara Damansara and Mutiara Rini, Skudai have been designed with concealed drainage within their infrastructure system. This means there are no open roadside drains outside houses. All surface water would run off into openings provided along the roadsides. Streetlights are cabled through underground ducting. All electrical cabling into the individual units are also concealed below ground level. Telephone cabling is connected into the houses through underground ducting from the rear of the units. Pedestrian walks path along main roads for safety reasons have been provided. These walk paths are shaded with trees and double-up as bicycle paths. Recreation parks, playgrounds and lakes are harmoniously integrated into areas of the residential precincts. True to our philosophy “Because we care”, our aim goes beyond providing our valued purchasers quality homes. We believe our responsibility as a caring developer includes providing follow-up services or after-sales service. 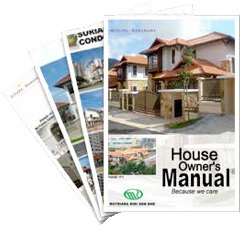 This house owner’s Manual represents a part of our after-sales service which we know will prove to be an indispensable tool to Mutiara home owners. This Manual is designed to facilitate home owners moving into new homes and the townships. The Manual comprises over 100 pages with information on how to maintain the flooring, who to call to renovate the house, how to protect the environment, property and self; ways to lead a healthy life by using the facilities provided such as jogging track and many other useful information.